Top everyday activities you can do with your child to help improve fine motor skills. Learn the key benefits to teaching a child with ASD to swim, including improved cognitive function, overall health, and safety. David Evans and his colleague Mirko Uljarevic have devised an innovative way to diagnose autism and other developmental disorders. Discover top strategies you can use to help teach or build communication with your child with autism. Excellent tips for helping your child master the skills of bike riding using the TAGteach method. Learn how you can help improve your child’s brain development and behavior by being selective and deliberate in the foods your child eats. Learn how having a service dog for children with autism can provide a unique and enjoyable learning experience that betters the school community as a whole. An autism expert shares what people need to keep in mind about special needs mothers while also providing supportive tips on self-care. An exclusive interview with Debra Islam, a special needs mother who has spent her life passionately working on behalf of children and their families. Learn how an early diagnosis is the first step in giving a child with autism new opportunities for growth and increased potential. A busy mother of two, and bonus step-mom to two, reflects on the changes she sees as her girls have developed over time. Interesting information on a specialized-day treatment option for children and teens that focuses on co-occurring anxiety, depression, and other mood disorders. Learn the ways storytelling can help children with ASD improve language skills, listening skills, attention span, and nonverbal communication. An important look at why kids with autism react differently from one another in the water, along with some tips for making water play a safe and enjoyable experience. Learn about this well-priced product that turns your home into a safe haven, allowing you to control the content your children experience while surfing the net. Learn about the protective case that allows children and adults to use a tablet easily with both hands while not having to hold it. A mother of a boy with autism describes the need for ASD children to not only understand autism, but also to understand the particulars of their own diagnoses. Take a look at a new book by Cindy Rasmussen that charts the difficult but inspiring course a family navigated with its son from childhood through adulthood. This heartfelt book by D. G. Driver is creatively told from the perspective of a young girl who is bullied for having a special needs brother. The latest news on a program that supports the US Marines by helping to coordinate Permanent Change of Station assignments to locations that support the medical and educational needs of a family. Professional tips on ways to prepare your autistic child for emergency situations. The latest information on the first public-private ride share program designed to assist people with disabilities with transportation, opening up a world of opportunities for those with autism. Make this Mexican Vegetable Chili for your hungry family using sweet potatoes, beans, and delicious spices. While all children diagnosed with autism spectrum disorder (ASD) are vastly different from one another, there is one commonality among them: the need for unwavering support. And for the people who love them, the desire to teach, protect, and provide for is fierce. As your autistic child grows and develops, understanding his/her physical, developmental, and emotional needs becomes fundamental. And because most children with autism learn differently from one another, it’s essential to find out which methods work best for your child and stay consistent with the approach and therapies. This month, we connected with multiple autism specialists, psychologists, therapists, and parents of ASD children in search of the latest guidance on various skill-teaching techniques. We are thrilled with the results, as we are able to share the newest ways to develop the life skills your autistic child needs. This is an issue you won’t want to miss. Did you know that drowning is one of the leading causes of fatalities and injuries among children and adults with autism? As we too often hear in the news, people with autism are typically drawn to pools, lakes, ponds, and streams, as water can offer a kind of calm in an otherwise overwhelming world. Sadly, this type of attraction can also lead to tragedy. Please take a look at Sherley Alaba’s piece called Teaching a Child with Autism to Swim Can Save a Life, as she shares key benefits to teaching a child with ASD to swim, including improved cognitive function, overall health, and safety. Some children with autism are actually terrified of the water, which is equally dangerous, as this may cause a child to panic during a water-related emergency. 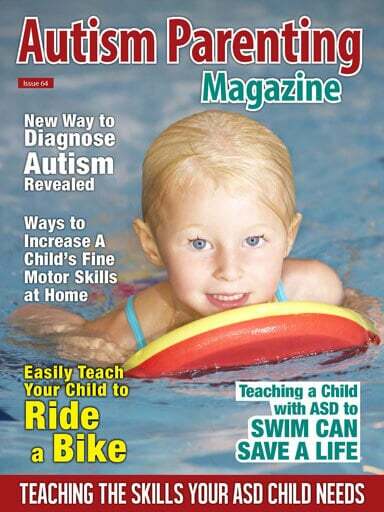 For more information on why kids with autism react differently from one another in the water—as well as some tips for making water play safe—read Cindy Freedman’s interesting piece called Creative Ways to Help a Child with Autism Enjoy the Water. 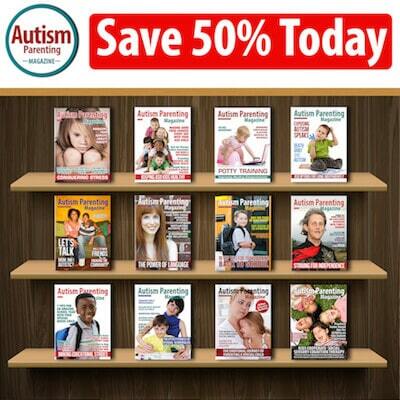 Providing families with ways to protect their kids is always an important topic here at Autism Parenting Magazine. That’s why we reached out to our monthly columnist Sarah Kupferschmidt, MA, BCBA, MFTI, for her professional advice on ways to prepare a child with autism for emergency weather-related situations. Whether you live in an area prone to summer storms or you plan to visit such an area, Sarah’s piece How to Prepare Your Autistic Child for a Weather Emergency is critical. Summer days may also bring opportunities for you to spend additional time working on life skills with your ASD child. Bike riding is an important milestone for all kids to master, but not all children with autism find the process simple to learn. Please take a look at Martha Gabler’s instructional piece called Easily Teach Your Child with Autism How to Ride a Bike, as the mother of a nonverbal child with severe autism shares excellent tips on helping your child learn to ride a bike using the TAGteach method. It can be so frustrating as a parent when you want to run full speed ahead with anything and everything that will benefit your child with autism, but then you hit numerous roadblocks. There may be times when you can’t get the appointments you need with a specialist, for example, or your insurance gives you the runaround. Tulika Prasad understands these challenges and has pushed forward on her own in an effort to teach her young, nonverbal son with autism the skills he needs. Please take a look at her piece, Simple Ways to Increase Your Child’s Fine Motor Skills at Home, as she shares her top everyday activities that can help you improve your child’s fine motor skills. Tulika’s ideas are also perfect for supplementing professional therapy. Did you know the way children communicate can affect other areas of development, including learning and behavior? Some children with autism develop speech differently or more slowly, making it crucial to find a way to communicate. For information on strategies you can use to help teach or build communication with your child with autism, take a look at Board-Certified Behavior Analyst Shahrzad “Shari” Pirnia Adler’s piece, Ways to Encourage Meaningful Communication with Your ASD Child. Her advice includes other methods of communication, such as sign language and augmentative, alternative communication devices. As I have mentioned over the years, one of our key goals is to provide the most up-to-date news and professional guidance for you and your child on the subject of autism. That’s why we’re thrilled to unveil a new regular column called ASD Marketplace that will highlight the latest innovative products. This month, we are featuring two products that could possibly make a huge difference in your family’s life: the convenient iKydz Home Internet Content Controller, and Zoodi, a protective case that allows children and adults to use a tablet easily without needing to hold it. We’re excited about this opportunity to share. Please feel free to reach out to us with topics you would like to learn more about. I believe together we can form an exceptional autism community that will meet today and tomorrow’s challenges.